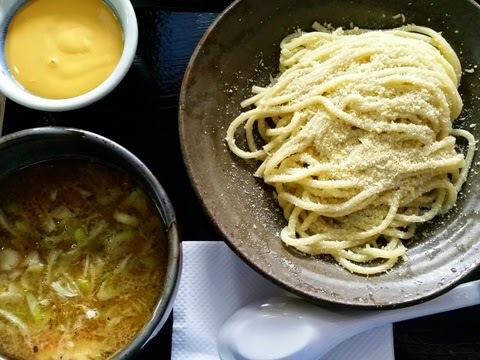 Did you say just say ramen with cheese? I just needed to hear the friendly staff say it again as my ears couldn't believe such an ingenious creation exists. 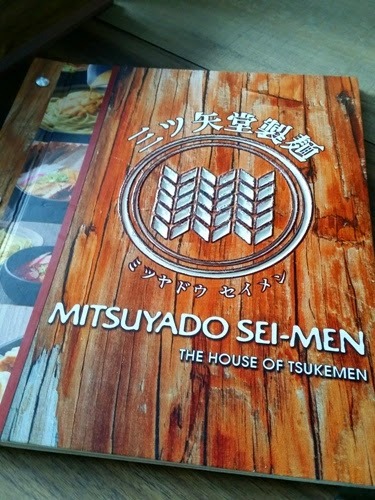 We are indeed very lucky to have the first international franchise of the well-loved Tsukemen by Mitsuyado Sei-Men brought in by the UCC Group, hence the neighboring UCC Cafe. 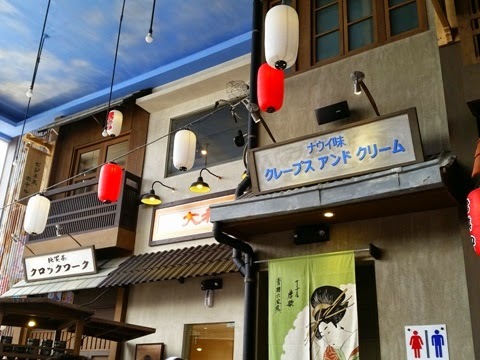 Once seated, customers will feel like they've been transported to the old streets of Japan with traditional crafts, vintage posters, lanterns and even a noodle cart surrounded with seats that you can request for a more authentic feel while eating your ramen. 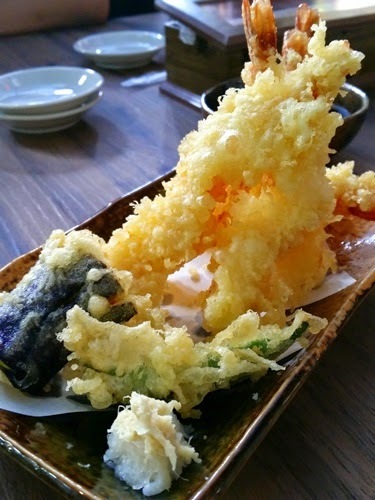 The Tempura and Gyoza were so good that both plates were almost wiped clean moments after it arrived. Unlike before that everyone's too shy to get the "shame piece", we had to play a little game we call "Who's had the worst day?" 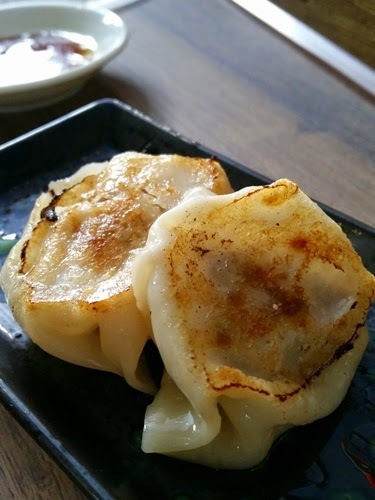 for the last Gyoza on the table. 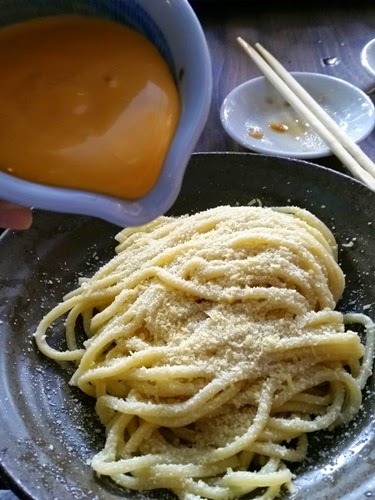 My order of Double Cheese Tsukemen came with a bowl of cold thin noodles (as I requested) topped with parmesan, a separate cheese sauce and a bowl of tonkotsu broth to dip it to. Since it was my first time to try the dipping ramen, the staff taught me how to eat it right: pour the cheese sauce to the ramen, dip it to the broth then slurp away! 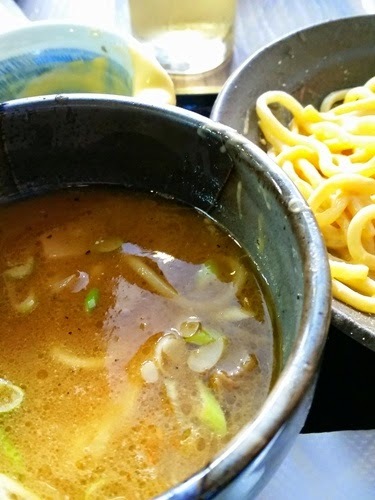 You can just imagine how rich the broth will become after all the dipping, so if you're craving for something sweet to balance the saltiness, you can either order from Mitsuyado's menu or head to Yamato Bakery next door for more awesome choices. That is if you still have room for dessert.